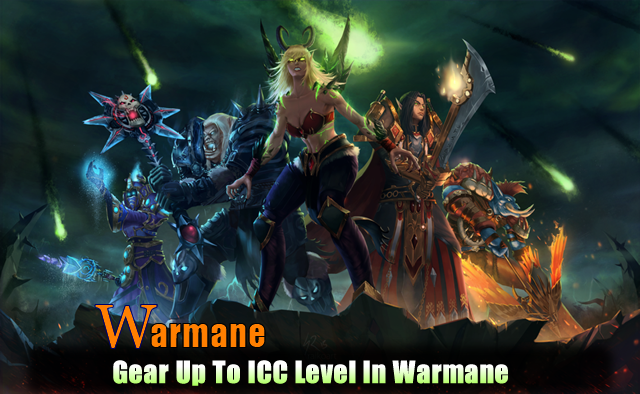 Do you want to know how to gear up to ICC level content right easy? Obviously, if you want to dominate here, then you should do the main and important things besides leveling and getting up. There's a quick way to level, how to get the ICC real quick so I see a lot of people don't use Mac's, but using vote points which will get you a large to nineteen gear is a good way, but a lot of people don't do that and they just want to party after their reason and they want to hurry up sitting at fos P lesson. If you want to go to ICC the right way (killing the lich etc), there are 2 ways to do so: either join a guild or, very rarely, there are semi-guild runs (again, depends on the rl). Contrary to anything players try/announce on global, the groups there simply do not go much further than bpc - lk runs usually reach vdw and disband. So, don't depend so much on them xd. If you are more for the group experience, indeed, the best things to do are - guild - or, you prefer to be not associated with any guild, weekly raid quests, of from rdf (#grind), and alt runs on ICC 10, later 25 - most players, sadly, organise these only for the boe items & primordials, and really don't care for the rest of the raid (one of the reason actually to disband right after bql), however you will see & feel the setting around you, have some raid time, etc. Do keep in mind, however, that you will NOT get an lk achievement, nor even see him, this way! Also, don't worry too much for being full PvE - in fact, there are two slots, that are acceptable per class as the items going there are rather rare to come across, and they are.. fine - ie, they can be a cloak and a wrist. Ofc, try your best to change them asap! Try to get the cheaper boes for your class as well - wodin, the cloth shoulders, the special boss herding gun, the 75g holydin abyss crystal; a cloth item on a caster dude is perfectly fine as well. Look for the ICC loot tables to see which slots you can forget about getting from raids for the moment - which item drops from each boss? Like, caster trinkets are from toc 25 (245, but is actually quite a good one! ), ICC 25 - rotface (mages, destro, etc) & sindy (dotters like shadow priests); the ICC 10 armory gives a good 251 (264 HC) as well; 1 one of assassination rogue best trinkets are actually for eof and it can be your first item to buy with them. And, if you want, try to make your raids as well. The thing here is, though, that, quite often, there are other players that put a slightly higher gs req for their raids once you start your own - because, see, if anyone has 5.5 gs, where would he enter - in a 5.5 or a 5.4 raid? Still, happily, not everyone is such a troll - try several times, and you will make it! Lead well, and you will actually enjoy the raid more than if you just gather items like in a job, and be looking for a group... and, you will make them the way you actually like; given that you are a girl, I kind of think you will do it way better than the majority of the population here! The moment you enter Icc, you will find yourself in the world of Recount - ignore this. Simply because it shows nothing about what you actually do - the weapon you have, sadly, matters way too much; and the best ones drop from the lich king (or are bought from the shop, however this is more or less cheating - if you want to be op, it would be best if you do it yourself and then feel the pleasure of that; coins have a way better use for scrolls, mounts, and tmog items...). Thank you everyone, for reading. If you enjoyed this article, please share it with your friends, it really helps. Let's expect the Warmane while training ourselves with cheap warmane gold. Until next time.